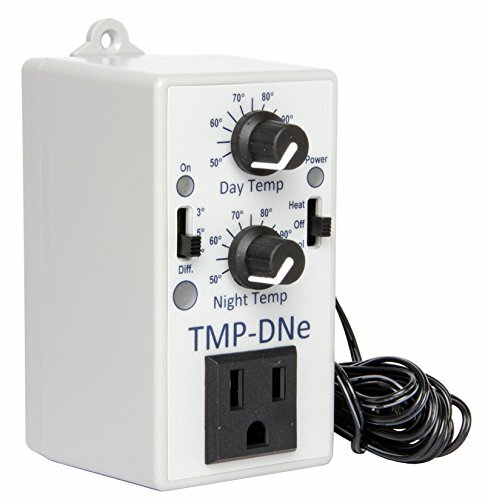 The TMP DNE allows you to control the temperature within your growing environment. You can set the day and night temperaute independently. The TMP DNe can be set to either heat or cool. Just connect your equipment, then set the temperature that you wish to maintain. If the temperature varies from your setting, the outlet on the front is activated. The temperature differential can be set at 3, 5 or 7 degrees. Please see our other listings, we offer a wide variety of Hydroponics products.